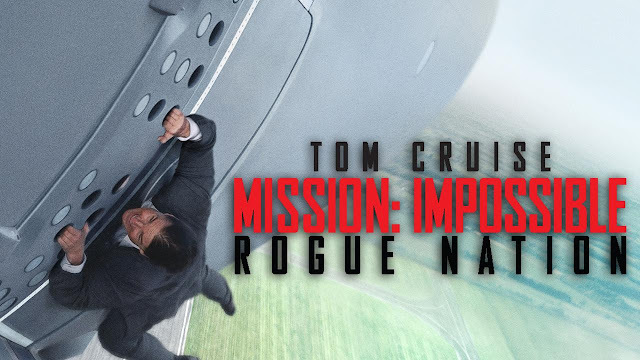 I was super lucky to be invited to a private preview screening of the new Mission Impossible movie, Rogue Nation. It was fantastic. Spectacular in fact. Tom Cruise’s super spy Ethan Hunt, is back with his I.M.F. team, performing awe inspiring stunts whilst looking super chic in a custom built wardrobe. I say custom “built” rather than custom “tailored” because wardrobe designer Joanna Johnston had to build wardrobe pieces to withstand the crazy stunts Cruise was performing. 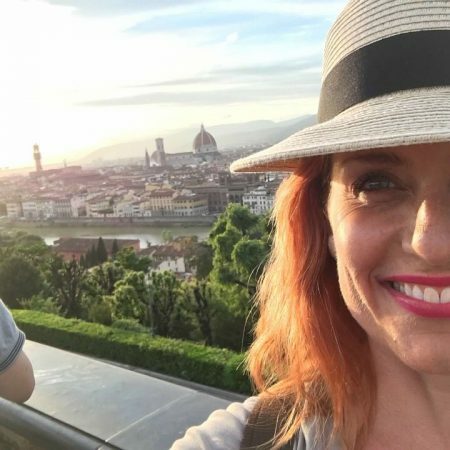 I read a fascinating article where she talked about the logistics of creating a suit that could withstand him holding onto an airplane, flying at great speed, 5,000 feet in the air. Regular clothing would have ripped off his body, and Johnston said that she was terrified during the stunt, which took 25 minutes to shoot, that he would come back wearing only his underwear. And Cruise, of course, looked totally dashing throughout. The choice of a grey suit was interesting in and of itself too. Bourne doesn’t wear grey suits. Bond doesn’t wear grey suits. They wouldn’t be plausible in a grey suit and white shirt. 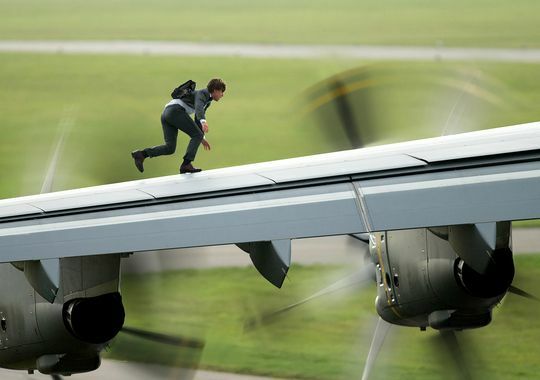 But for Ethan Hunt it totally worked. And it served to put the stunt in context, added to the madness of it, at the same time defining who this character is, and has become, all in the very first scene of the film. The action didn’t stop from that point forward, and neither did the fashion. It is the summer of Oscar winning wardrobe designer Joanna Johnston, who hit it right out of the ballpark with The Man From U.N.C.L.E. 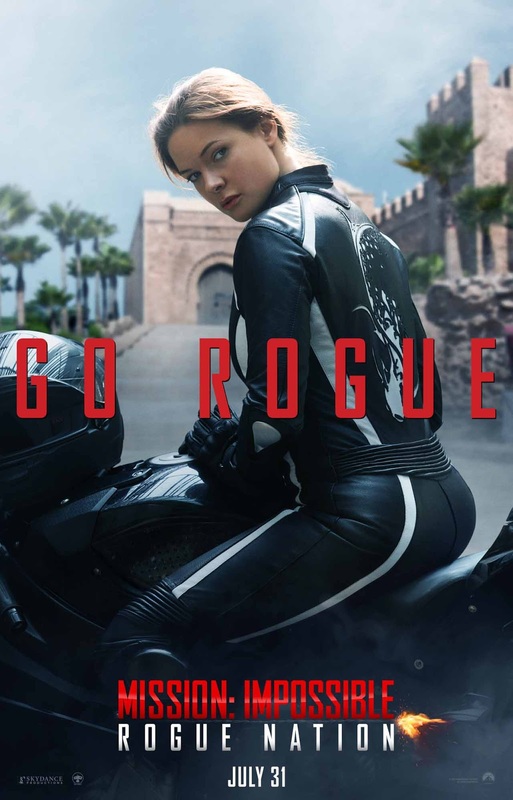 (opens August 14th, read about it here ) as well as the Mission Impossible, Rogue Nation, opening everywhere today. 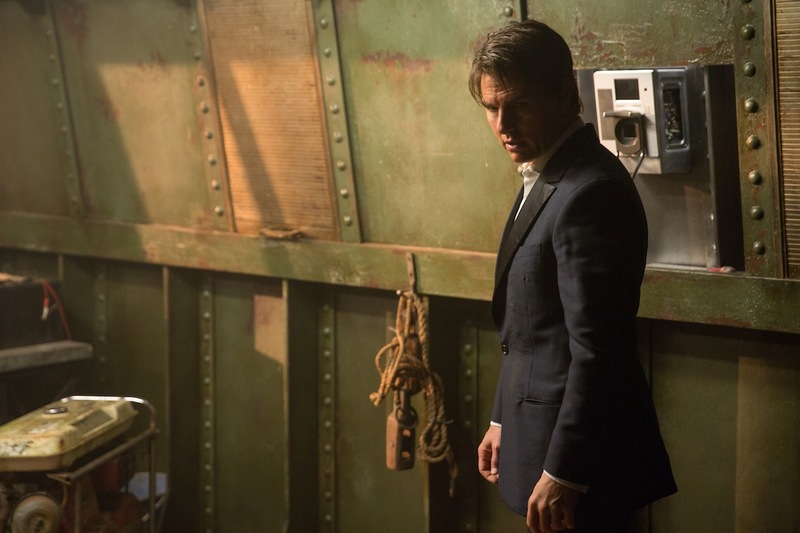 Rogue Nation is super action packed, so the wardrobe not only had to look good, but had to work in intense fight scenes. My favorite piece was this chartreuse dress worn by leading lady Rebecca Ferguson. The moment she comes walking through the entrance of the Vienna Opera House is mesmerizing. She is stunning anyway, but the way she moves, and the way the dress moves is just sensational. The way the dress performs throughout the scene, the fight sequence and the other stunts is every bit as effective as the grey suit. I tried to find the designer – lets face it, the color of the dress, the movement of the fabric, the way it worked on camera meant that surely it had to be by one of the fashion legends, right? In a way, yes. It was designed by Joanna Johnston herself. It was actually 8 different dresses, each created with specific tasks in mind. For example the version of the dress she wore as she and Cruise escape from the roof of the opera house by rope was designed with extra fabric in the skirt so that it would balloon out as they dropped through the air. Essentially all of Ferguson’s wardrobe was custom made, with the exception of her Burberry coat. I haven’t watched a Tom Cruise movie perhaps in years. I had forgotten what it is that he brings to the camera and to the big screen. 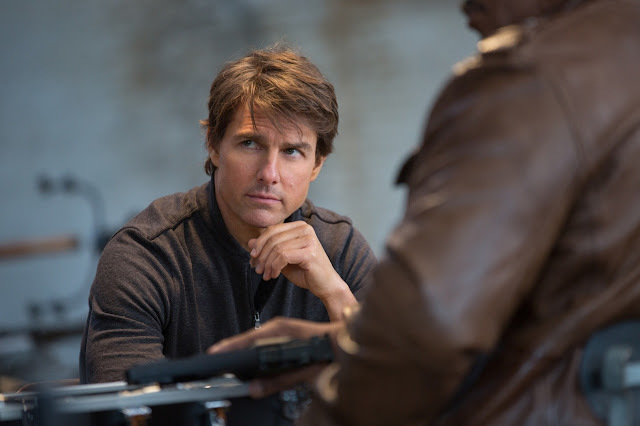 With Rogue Nation I can see why he is the biggest movie star in the world.